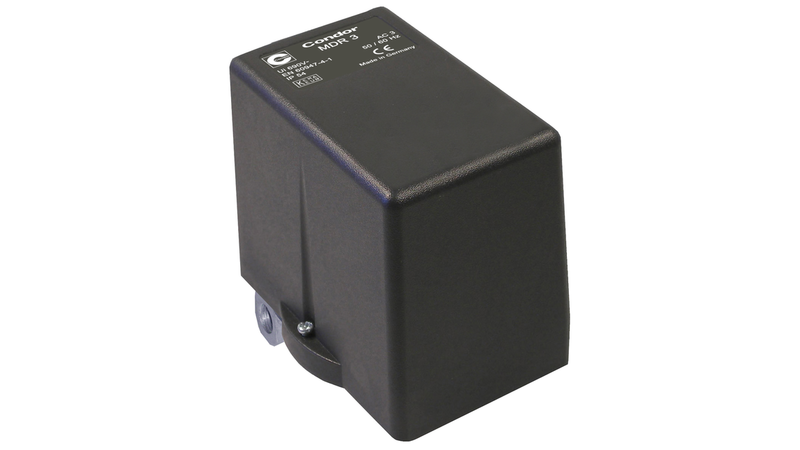 Pressure switch for 3-phase applications. For all functions the neutral conductor is not necessary. In case of malfunction the pressure switch will be switched off. Only upon solving the malfunction, the pressure switch can be switched on again. Field of application: place-variable compressors, building site-area etc. The MDR 3 can be equipped or retrofitted with an operating hourmeter to monitor the pump and compressor running time. or with battery supplied and a perforated MDR 3 cover with or without ON/OFF lever.